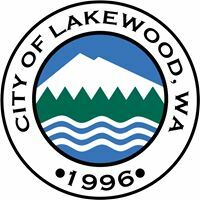 The City of Lakewood is revamping its Title 18A Land Use & Development Code in order to make it more readable, logical, and user friendly. There will be some substantive updates, but most of the changes will be to reorganize the text and make it easier to use. The Planning Commission reviewed draft Chapters 18A.10, 18A.20, and 18A.30 on February 20. You can view the draft language for the new Title 18A chapters here as they become available. You can view materials from the January 2019 industry stakeholder meeting here and the public stakeholder meeting here. The Planning Commission will hold a study session on the Title 18A updates on Wednesday, June 17 at 6:30 pm in the City Council Chambers at Lakewood City hall (6000 Main St. SW) You can view materials from past and upcoming Commission meetings here. Use the form below to contact us regarding the Title 18A update.